If you have excessively damaged or decayed teeth, the only way to preserve them might be with a crown. 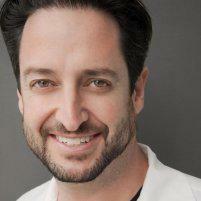 Dr. Jason Mirabile offers dental crown placement at his practice iHateTheDentist.com in Santa Monica, California, to help you maintain your natural smile. Dental crowns can be a restorative and cosmetic solution for patients with damaged teeth. Contact the office for a crown consultation, or schedule an appointment with Dr. Mirabile online. Dental crowns are made with composite materials or porcelain to strengthen a compromised tooth. If you have one tooth or several teeth that are decayed, chipped, or cracked, Dr. Mirabile might recommend a crown to restore the tooth. iHateTheDentist.com can also use dental crowns to support a dental bridge made of artificial teeth anchored in place above the gum line. Dr. Mirabile determines whether you only need a crown or a bridge during your consultation. Dental crowns fit like a strong cap over the damaged tooth to restore it. They look and feel just like your regular teeth. The primary goal of placing a dental crown is to preserve the tooth. Dr. Mirabile does everything he can to help you maintain your natural teeth. Even if a tooth is decayed, he first tries to preserve it with a crown instead of simply extracting it. If you’re concerned about the appearance of damaged teeth or have some chipped teeth compromising your bite, a crown might be the best solution. Crowns are ideal for protecting vulnerable teeth and covering up chips, cracks, and other minor forms of damage. How is the crown placed? The placement typically takes place over two office visits. Dr. Mirabile needs to take impressions of your teeth to create a mold. He preps the tooth and might numb the area to reduce discomfort. Dr. Mirabile then places a temporary restoration around the problem tooth to protect it while the lab makes your permanent crown. Once the crown comes back from the lab, he secures it in place permanently. Will anyone be able to tell I have a crown? No. iHateTheDentist.com’s crowns are made to look just like your real teeth, and they even match the exact shade of surrounding teeth. Dr. Mirabile fixes the crown permanently onto the tooth structure to create a very natural appearance.